We are working on cutting out gluten at our house – and finding that many others are doing so as well. In fact, there was a gluten free expo in the Chicago area last weekend that I wish I could have attended! I recently had a chance to review some of Welch’s Fruit Snacks, which are gluten free, and thought I would come up with a few fun gluten free snacks for you and your family in a gluten free round up! Frozen grapes – well, you could try regular grapes, but freezing them can make it all the more fun. Some even say it can be an ice cream replacement when dieting… I don’t know if I would fall for that, but frozen grapes can be pretty amazing! Bananas and a nut butter, almond butter, cashew butter, etc. I found tons of fun recipes on Pinterest for nut butters that I can make at home in my food processor. Homemade Veggie Chips – Kale, Beets, Sweet Potato, etc. You can use this sweet TopChips Chip Maker (I love mine!) that Cindy reviewed to make these chips in your microwave or you can make them in the oven. Sweet Potato Fries – I had the chance to review Alexia awhile back, they have some yummy Sweet Potato Fries, but you could try any brand for your family! Salsa and Gluten free tortilla chips – You can buy a premade salsa, I like to make our own pico de gallo with tomatoes, onion, jalepeno and cilantro – easy, right?! Welch’s Fruit Snacks – These helped me realize gluten free doesn’t have to be boring! I have always liked these fruit snacks and I as excited to learn that I could still have them. 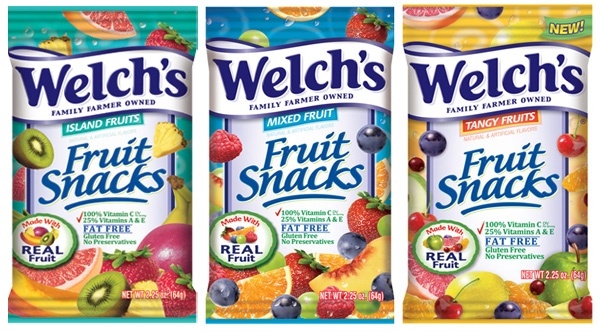 They come in tons of fun flavors, and along with being gluten free, they are fat free; contain 100% daily value of vitamin C and 25% of vitamins A and E. You can like Welch’s Fruit Snacks on facebook for up to date coupons and news about their Gluten Free snacks! What are some gluten free options that you and your family love at your house?! My kids love Welch’s Fruit Snacks! Also I have to say I did the Komen 3-Day For the Cure a couple of years ago where you walk 60 miles in 3 Days. It was hot and one of my favorite treats on the walk were frozen grapes. They were amazing! 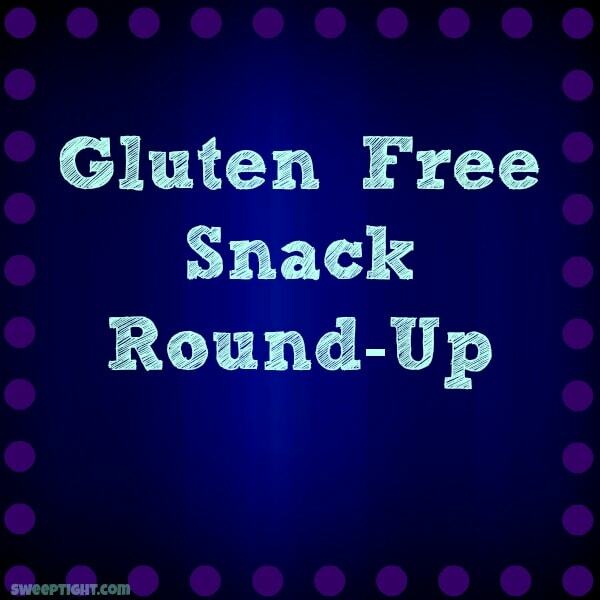 I love that there are super tasty options out there for people with gluten-free diets! I personally LOVE Welch’s fruit snacks but I limit how often I buy them because of the sugar. LOL! My girls love Welch’s Fruit Snacks and I love them because they are healthy and don’t require a lot of clean up too! I recently discovered sunflower spread that is gluten free – it’s a great alternative to butter or jelly on toast in the mornings. We just had these fruit snacks last week, and I didn’t notice they were gluten free!